SM.92 was a heavy fighter/bomber based on the Savoia-Marchetti SM.88. 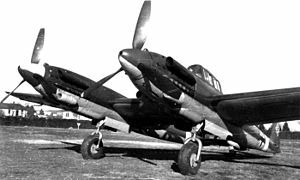 The SM.92 did away with the mid-wing crew nacelle. The crew of two sat in the left fuselage only. Two DB 605 engines were fitted. Armament consisted of three 20 mm MG 151 cannon, two in the mid-wing and one in the right fuselage, and three 12.7 mm machine guns, one under each engine, and one remotely controlled in the tail. 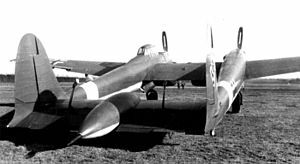 A bombload of up to 2,000 kg could be carried under the inner wing, and 160 kg bombs were carried under the outer wings. The maximum speed was increased, but still did not meet that required. It had a complex and advanced structure which contributed to difficulties in producing a working prototype. The prototype MM.531 flew for the first time in October 1943 and logged over 21 hours of flight time. 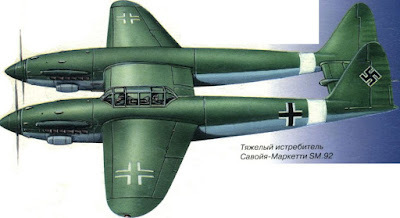 In March 1944 it was mistaken for a P-38 Lightning and attacked by a Macchi C.205. The aircraft survived by performing evasive manoeuvres, but it was so badly damaged that it was grounded for months. 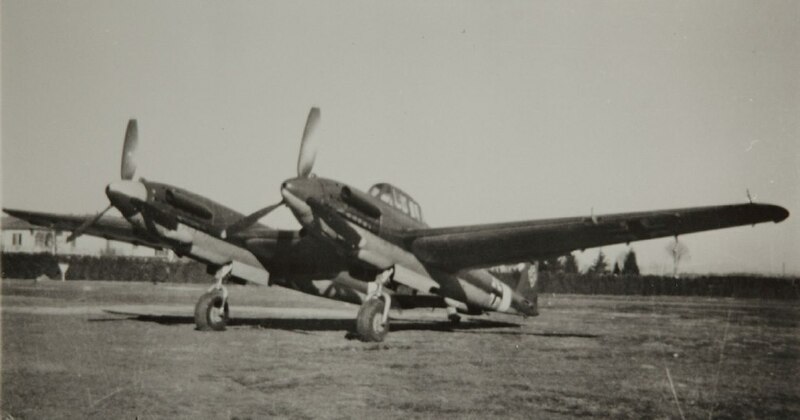 The SM.92 was destroyed by Allied bombing in 1944. Climb to 6,000 m: 7 min. 10 sec. Armament: 3 × 20 mm MG 151 cannons, 3 × 12.7 mm Breda-SAFAT mg.